After 30 years as a travel agent and 20 years owning and operating my travel agency, Vacations To Remember, I have been to the Caribbean quite a bit. I bring school supplies with me to the islands every time I travel, and this year I travelled to St. Lucia. I decided to get other local businesses involved by asking them to be donation sites to collected PfaP supplies for this trip. Then I asked the people in our community to assist and they turned out in droves! 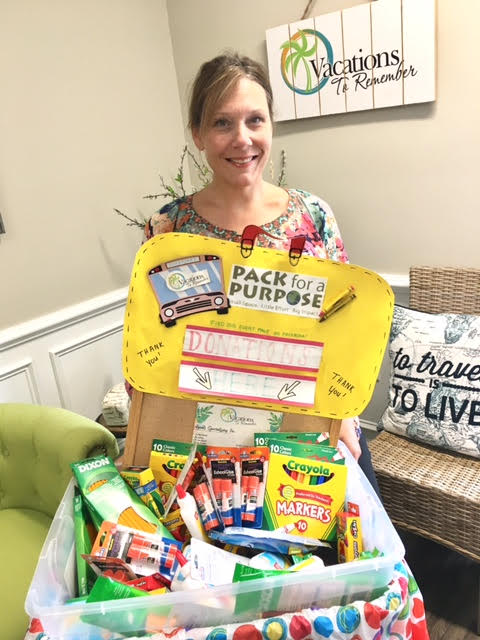 On July 26th, I transported two large suitcases filled with school supplies to the children of St. Lucia and I could not have been more thrilled!